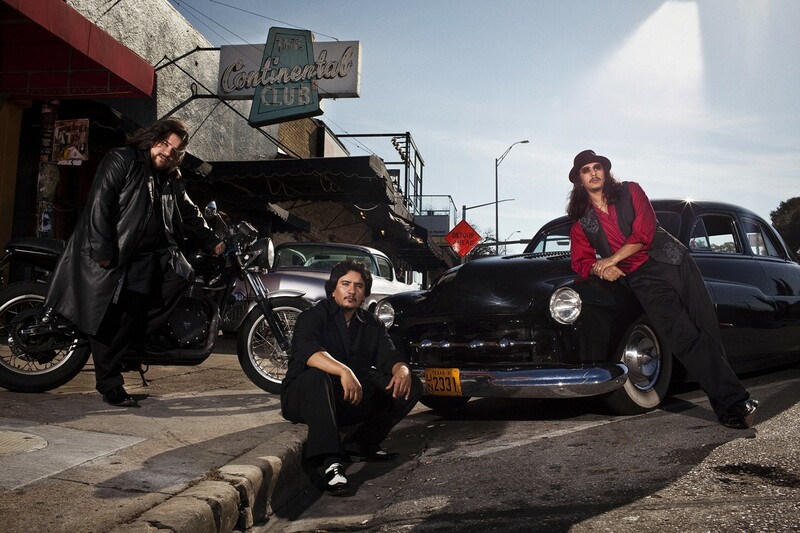 Los Lonely Boys are a power trio that plays Texican rock, combining elements of Texas blues, brown-eyed soul, Latin jazz, country, and Tejano and Norteño styles. Willie Nelson discovered the brothers — Henry Garza, guitar and vocals; Ringo Garza, drums and vocals; Jojo Garza, bass — in 2003. He took them on tour as his opening act and helped them record their eponymous first album in his home studio. It was first released on a local label, but went double platinum after Epic Records picked it up. “Heaven,” their debut single, won a Best Pop Vocal Performance Grammy. With an incendiary stage show, they went from local favorites to superstars in less than a year and they haven’t lost any momentum since. They usually headline larger venues, so don’t miss this chance to catch them up close at the Freight. Fellow Texan singer/songwriter Lisa Morales opens the shows with her own brand of intercultural music.